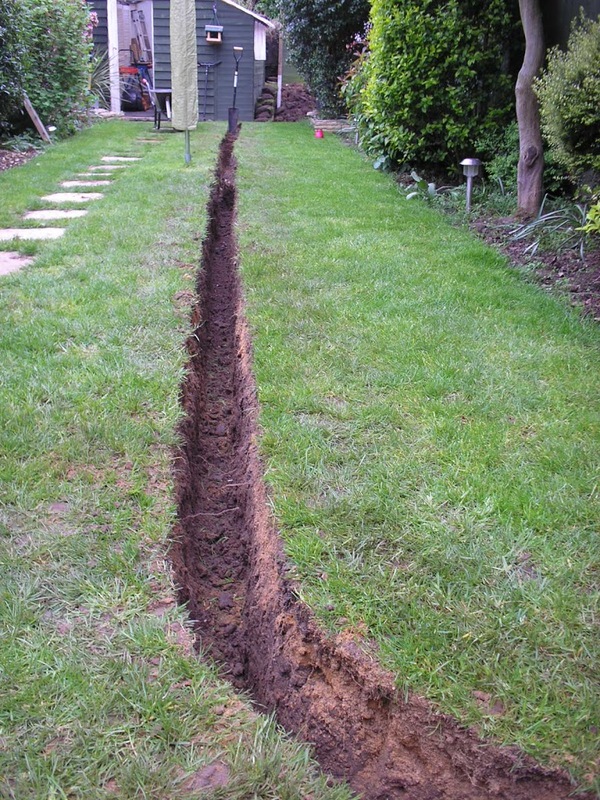 After a few days of rain and a quote from an electrician to get me wired up I decided it was a good time to dig the trench for the cable to power the workshop. 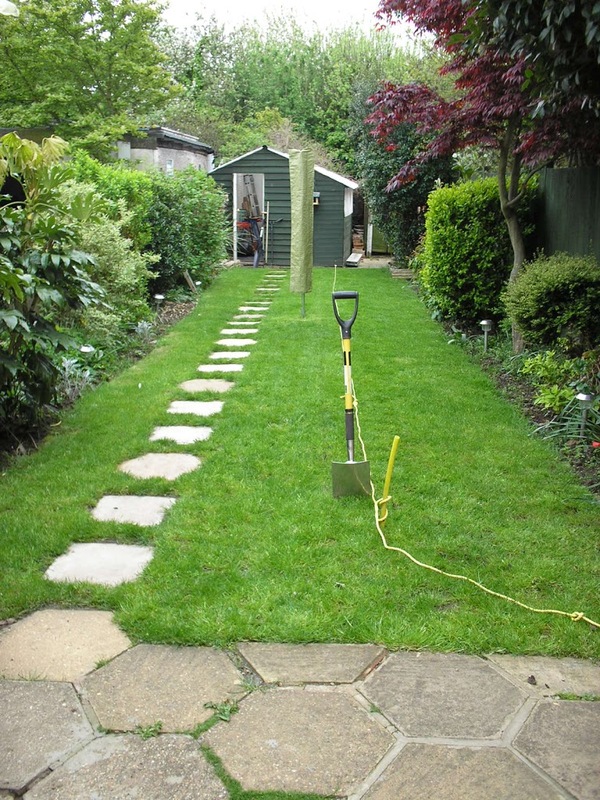 A line was roughly laid out with rope and a halfmoon was used to cut the end of the turf. The turf was then cut off with a regular spade and stacked up next to the workshop so that it could be put back later. 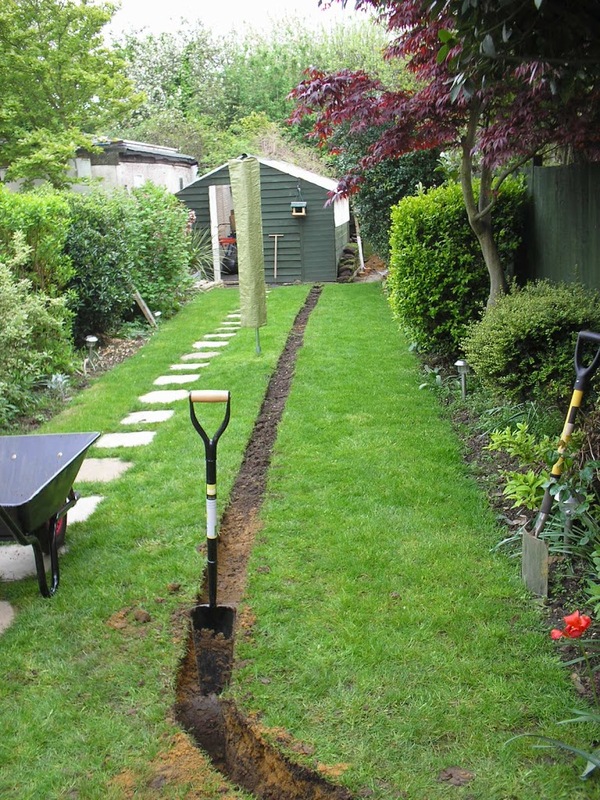 The trench was dug using a long bladed spade bought from my local DIY superstore these are called drain spades or grafter’s spades. The surface soil was very varied, including, sand, builders rubble, pebbles and regular soil. This was scraped off into the barrow leaving a sublevel of clay. 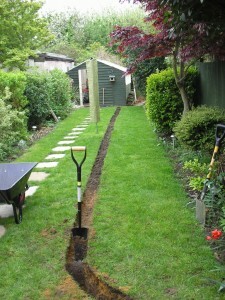 The clay was sliced off using the ditchers spade and 2in thick blocks were lifted into the barrow. For the looser earth we used the long spade to lift it to the surface then a conventional spade to shovel it into the barrow. The end results as you can see below turned out pretty good and the two of us completed the job in about 6 hours including breaks for cups of tea and a meal. Before starting this task, I read an interesting book called “The Ditcher’s Stage” which describes a technique for digging ditches. 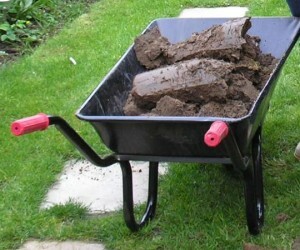 However given that I was cutting out the clay blocks from the ground this technique did not really apply. 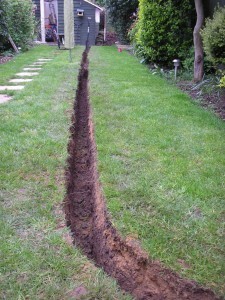 If you are digging in softer soil or digging a wider trench (or ditch) then I can see how the solution would work much better. There’s also some handy tips in the book for deciding the angle of ditch sides which for my clay soil was conveniently about the same as the angle of the spade.